Grand Banks 60 Skylounge (GB60SL) IN STOCK & Available for IMMEDIATE DELIVERY! Grand Banks 60 Skylounge model (New 2019) cruising at approximately 24 knots from Newport, RI to Norwalk, CT in September 2018. Yachting took the Grand Banks 60 for a spin during the Sydney International Boat Show. This is the ALL-NEW Grand Banks! We are completely sold out of 2018 production and are currently working deeper into 2019. The 2019 Grand Banks 60 Skylounge model debuted at the Newport International Boat Show. She will be featured on display at all the fall boat shows and available for purchase and delivery after the Fort Lauderdale International Boat Show in early November, 2018. 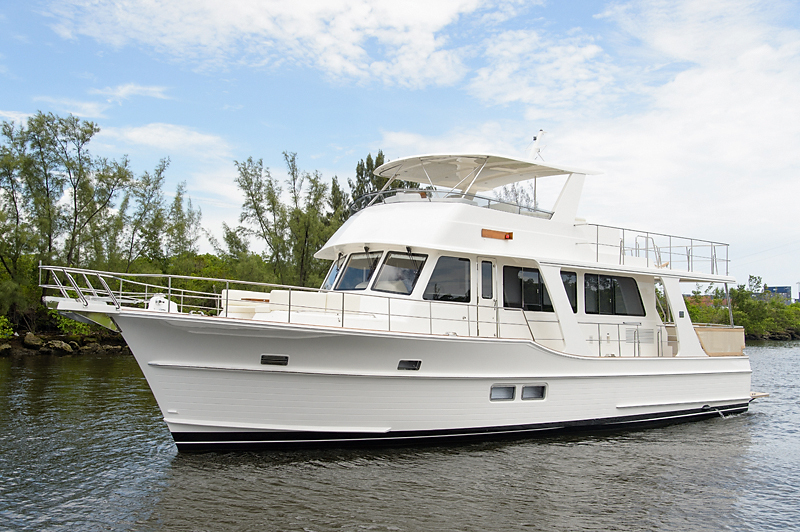 The Grand Banks 60 is second to none with her impeccable lines and highest quality build. Her one level design, customizable interior featuring three staterooms, two heads, enormous cockpit and flybridge are only a few features that make this yacht world renown! The GB60 can be powered by either Shafts or IPS. The 2019 Grand Banks 60 Skylounge model, the second GB60 SL built-to-date, features a fully enclosed flybridge with interior staircase, drop down side and aft windows, a day head, air conditioning and much more! She is powered by Volvo D13 800 HP Shafts. Contact Steve directly for the detailed specifications for this GB60SL. Click on the link below for the brochure and several amazing, honest, and action packed articles on the GB60! Ready to take the next step and purchase new?